When booking a rental car from AlgarveCarental you may be sure you are getting an honest car hire service by trained professional staff and that you will drive a well kept car at the best possible price. We proactively try every day to give the best car rental service to our customers to help them have a memorable holiday in the Algarve. Our customers apreciate our effort and compensate us be returning to book a new rental car with us each time they come to the Algarve and frequently they reccomend us to their friends. 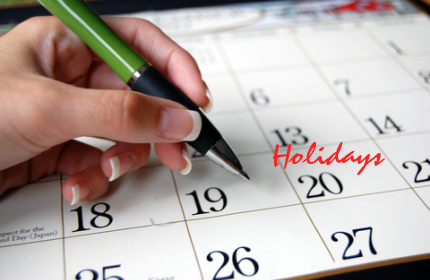 When planning your holidays in advance you have more time to scan and decide about the best options. Like you do with your accommodation and flight it is also a good practice to include your Algarve car rental in your early holiday plans. Car Rental in Faro airport or anywhere in Algarve is very requested special in rush seasons. Booking in advance your Faro car hire to be delivered at Faro airport or to your hotel, villa or resort is highly advisable. Since you guarantee your car rental in advance by booking online, you will be sure to receive your Faro car rental ready on your arrival so you can enjoy your stressfree driving holidays in Algarve. AlgarveCarental.com started in April 2003 as an online platform to facilitate car rental reservations online in Algarve in the very starting days of the massive access of people looking for easier ways to guarantee their Algarve car hire reservation even before they arrive. As a branch of a portuguese company Portugal em Linha, operating in the car hire industry since 1999 we know the market and the pros and cons of the companies operating in the sector. We know that the challenge of a new commerce paradigma demands new ways of acting and making business in a more and more demanding world. We are commited to provide a high quality service where the customer comes first. In 2008 we bought the domain algarvecarental.co.uk to respond to a large clientelle from the United Kingdom and since then we maintain the two sites with the same prices and conditions but responding to different customer's needs. Due to our professional approach to this business, our clients rave our online helpdesk service and the local assistance and delivery service provided by the companies we work with. This is allowing us to grow in a very constant and efficient way. The local car hire company offer a fleet of over 600 well conditioned vehicles and those can be delivered to the airport or to the accommodation throughout the Algarve. A multilingual staff speaking several languages provide our customers with a best and more efficient service. We believe that our company is growing successfully because of our commitement to provide a superior level of service to our customers and we intend to proceed into this path. We have always viewed our involvement in this business on a long-term basis and we are investing in new and innovative ways of building a reputation for seriousness in the car hire business. We provide excellent service, excellent vehicles and very competitive prices! Our quotation/booking program was developed in such a way that our customers always have the best price and discounts and promotions are a everyday surprise, making the booking process a worth it experience. Our local car hire cars are mainly based at Faro airport but we deliver Algarve car hire cars to the main cities all over the Algarve, so our rental cars can be delivered throughout the Algarve to hotels, villas and resorts. Since we are based and operate in all the Algarve our customers are safe renting with us because they can always have assistance from any one of our offices. Our last website update reflects the needs of the modern times. As almost half of the people in the world are accessing the internet through mobile devices, we decided to modern our website and give responsive access to every people looking to make a reservation for Faro car hire or any other location for Algarve car hire from their mobile phones or tablets. Utilized with Versatile and Flexible Features Powered by the New JCarental Booking Engine.